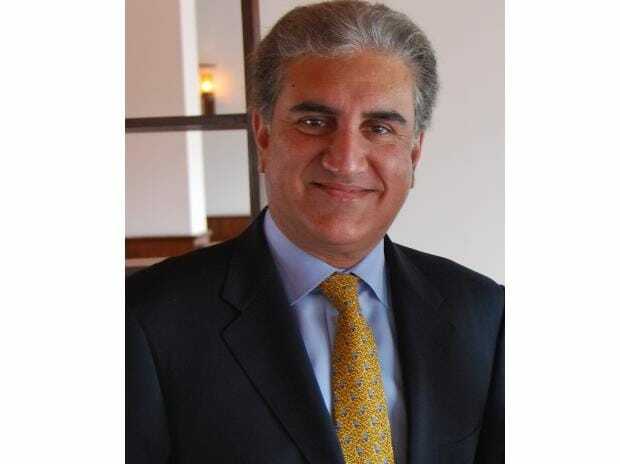 Pakistan wants peace, but India is creating a "war frenzy", Foreign Minister Shah Mahmood Qureshi claimed on Sunday, amidst simmering tensions between the two countries following the Pulwama terror attack that killed 40 CRPF soldiers. Addressing the media following a consultative meeting in the wake of the Pulwama attack, Qureshi also said that Pakistan was trying to defuse tensions and has written to the UN, seeking the world body's intervention. "Pakistan wants peace and I want to give clear message that India is creating war frenzy but if it thinks that it can bring Pakistan under pressure or browbeat us, then it should get rid of this notion because this nation is united like a fist," Qureshi said. "Don't even think of looking at Pakistan with an evil eye," he warned India as he asked New Delhi to "change its attitude towards" Islamabad. Stating that India has issued a circular to cancel leaves of nurses, doctors and paramedics in Jammu and Kashmir, he asked, "What impression it wants to give? Qureshi also recalled that former chief minister of Jammu and Kashmir Mehbooba Mufti has said that "you can press the people but not their ideas". He asked the Indian politicians to counsel the BJP-led government in New Delhi to follow restraint. Qureshi, who met former foreign secretaries and envoys on Sunday, said the consultations were held to get their input to tackle emerging developments in the wake of the Pulwama attack.